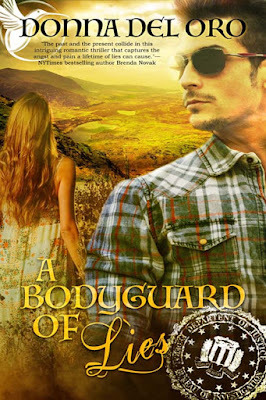 Goddess Fish Promotions has organized a Virtual Book Tour for The Jake Bernstein FBI series by Donna Del Oro, a romantic suspense available now from The Wild Rose Press. Be sure to follow the tour and comment; the more you comment, the better your chances of winning. The tour dates can be found by clicking the banner or at the bottom of the post. My audience consists of astute readers who like clever, complex plots with their romance novels. My romantic suspense novels require an educated reader who is drawn to complexity and depth. 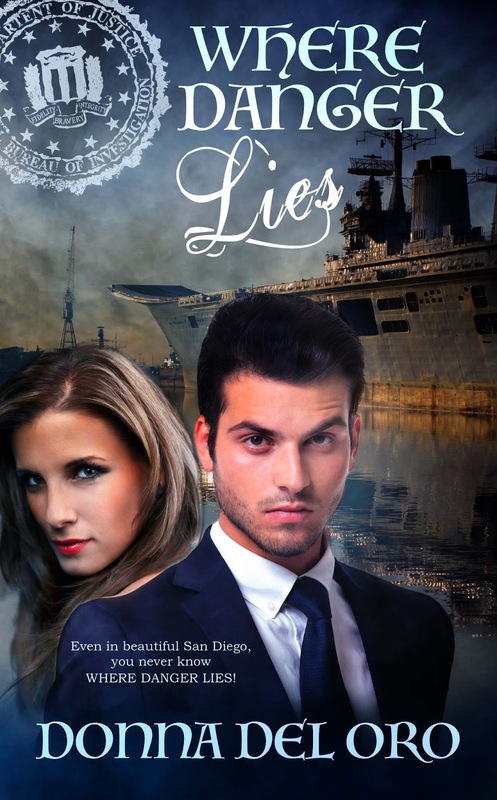 The first book in the series, A BODYGUARD OF LIES, is based on a quote by Winston Churchill. 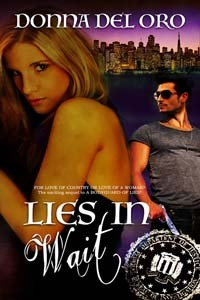 I kept the word “lies” in the subsequent titles: LIES IN WAIT, WHERE DANGER LIES—and the 4th book’s tentative title, WHAT LIES WITHIN. The book covers are designed by the art team at The Wild Rose Press. They like to put an image of their hero/heroine on their covers. The hero of my FBI series, Special Agent Jake Bernstein, is brave, intelligent, a talented linguist, a former Navy SEAL, and in sum, a complex man. I like him very much! He’s my ideal man. Why did I write this series from a man’s POV? Most of the books I read are written by men, so I feel very comfortable writing from a man’s POV although I’m a heterosexual female. I like a man’s pragmatic, unsentimental view of the world. At least, that’s Jake’s world view. In LIES IN WAIT, the least favorite characters are, of course, the callous jihadis who want to kill people in the very country that has given them refuge. There’s nothing in any of the FBI novels I would change. I’m very pleased with how they turned out. About the Delphi Bloodline series (clairvoyant artist Athena Butler finds her gift both a curse and a blessing), I visited several psychic readers, took an ESP Workshop and did lots of research into ESP. The research was fascinating! I like to sing in a women’s barbershop chorus, which has won several medals. When I’m not writing or singing, my husband and I love to travel. Book Two in the Delphi Bloodline series, ATHENA’S FEARS. The old saying, Authors are writers who never gave up. Don’t give up!